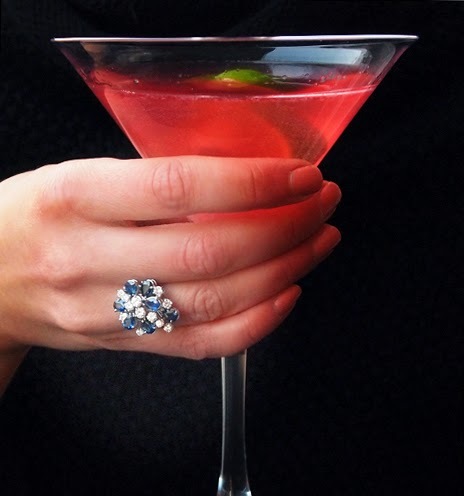 What’s not to love about a pink martini? Use good vodka. If the name sounds like a Russian magician, it’s probably bad choice. Smirnoff is on the edge. Fill a cocktail shaker with ice. Add the vodka, Cointreau, a shot or so of cranberry juice, and a squeeze of lime. Shake the heck out of it. Strain it into a martini glass, top it off with a bit more cranberry juice and another squeeze of lime. Now head outside and enjoy it while wearing a fabulous maxi dress, your favorite lipstick, and your most glamorous accessories! That sounds yum! A rarity, but just happen to have at the moment some handcrafted small batch vodka, a lime, may have to tweak the cranberry juice to hibiscus — but what is cointreau? OK, in truth, this will have to wait for another day & I hope I don’t forget. Thank you for telling me what a pink martini is! I never knew, but I’m a big fan of the band. Are you?